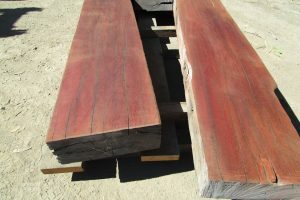 Description: Create a truely striking look using this timber for a kitchen bench top! Customers have also installed these beams into bathrooms for a magazine worthy look. Visit yard to select your own piece. Timber can be used for many projects. 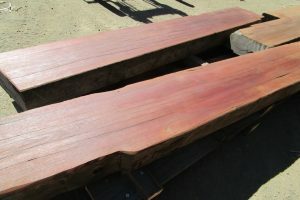 Photo examples have been sanded and oiled to show off the deep color and grain. 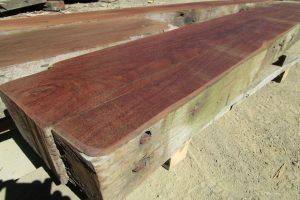 We can sell to you raw or sanded. Note on the examples how the timber edges have ben left raw as a decretive feature.